Are you a farmer? 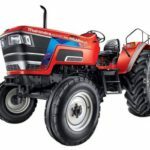 And are you looking for Mahindra Tractor 555 DI specification, price, review and more, then you are at the perfect place here on this site, we are providing all kinds of information about Mahindra tractor model and its specification, price, transmission facilities, images. 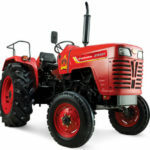 Mahindra Arjun 555 DI is a range of 41 to 50 HP tractor. 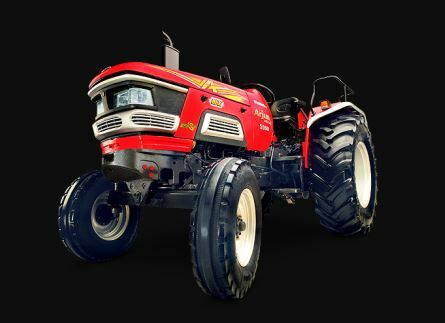 The Mahindra Arjun 555 DI Tractor price will be Rs.6,15,000 Lac* Ex-Showroom. 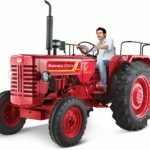 This model released by Mahindra and Mahindra company. Its main features are a Neutral safety switch, Removable front weights, Removable rear wheel weights, sliding seat, 7 pin trainer light sockets. 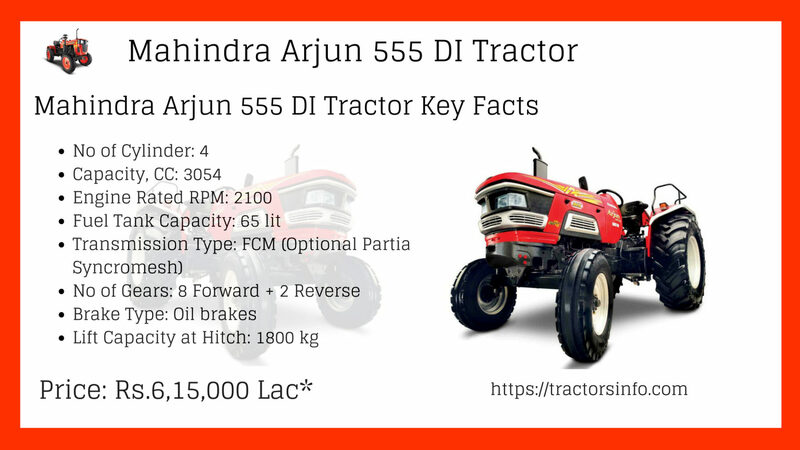 Mahindra Arjun 555 DI Tractor engine designed with 4 cylinders, 2100 rated RPM and 3054CC that make an engine more powerful and provide optimum power and long engine life. It has a full constant mesh transmission its provide easy and smooth gear shifting operation and its gearbox system is packed with 8 forward and 2 reverse gears. It has an advanced hi-tech hydraulics system for easy use of modern tools like cultivator, gyrovator, rotavator, disk Plough etc. Mahindra Arjun 555 DI tractor brake system is based on multi-disk oil immersed brakes that provide excellent braking performance and longer brake life. 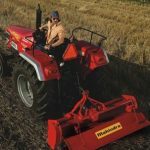 Mahindra Arjun 555 DI tractor is an Ergonomically designed tractor that is well suited for longer field work. 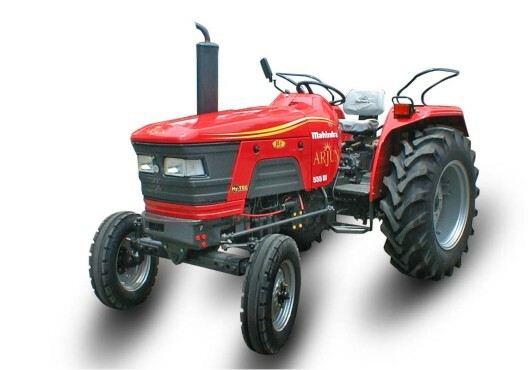 It has dual acting power steering that’s good for longer farming work operations. 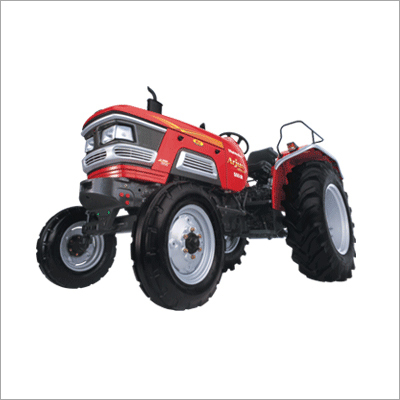 This tractor large 14.9*28 tyres better traction and less slippage on the farm operations. Its max torque is 195NM and weight of this tractor is 2370kg. Its fuel tank capacity is 65 liter, and its lifting capacity is 1800kg. 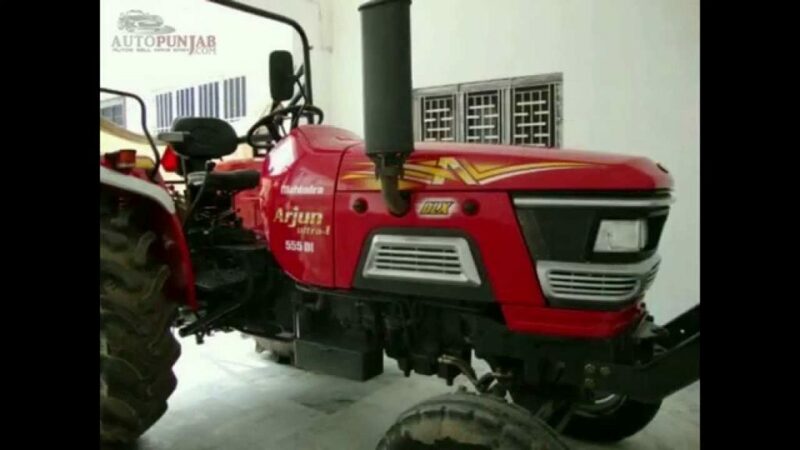 Mahindra Arjun 555 DI designed for this application like a harrow, thresher, water pump, rotavator, disk plough, cultivation, seed drill, tipping trailer, single axle trailer. We are thankful to all people who visited our site if you have any query regarding this article then please leave a comment from below the comment box. We welcome your suggestion and apply changes immediately. We can update this model’s information if we have new information about it. Want to buy can u made some concessions? 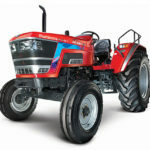 Can u give me information about Mahindra arjun 555 50 hp tractor. I want to buy. How much prize of it. Hello sir I am subhankar I am interested mahindra arjun 555 please call me and my contact number 9153333790. 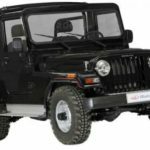 What is the with the loan of including price of rate mahindra arjun 555? I am Akramul Haque intarested buy Arjun 555…. Can you send me quotation of this Mahindra arjun 555 with its total weight because we have to transport in heli.